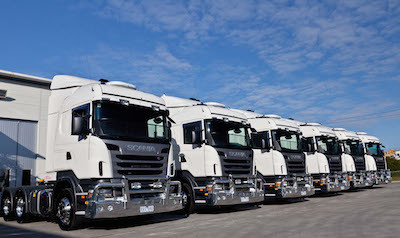 Can I rent my lorries to a haulage operator, registered in another EU country? The above text, said in plain English means that holder of EU operators licence can operate with trucks, registered only in his own country. Lorries, registered in one country can not be rented to operator, registered in another country. This is also effective to subsidiary companies or companies, connected in another legal way. Some companies are renting trucks, but how? If you do such kind of renting in your current business model, you should stop doing it immediately! This could cause your licence to be revoked and also lead to loss of repute to your company, your transport manager and company owner(s)/director(s). If you see some companies are doing this, it is most probably because they never consulted a transport solicitor, who specialises in international transport law. The process of operating through a company, having O licence from another EU country can be long, expensive and legally questionable if it is a DIY venture. Luckily MH Legal and it’s subsidiary MH Think in UK can provide professional flagging out service and on-going transport management, including professional transport accounting services. We make sure you stay legal throughout Europe and lower your costs to the lowest levels in EU. Does empty moving truck needs EU operators licence?